Seizures are body movements or behavior that are abnormal which are the result of unusual electrical activity in the brain. This is usually the symptom of Epilepsy, though not all people who have experienced a seizure necessarily have epilepsy. Epilepsy actually is a group of disorders that result in recurrent seizures. Non-epileptic seizures are not triggered by the unusual electrical activity in the brain and are caused by stress or other psychological issues. 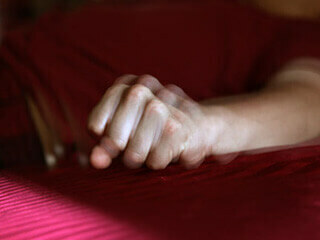 The visible symptoms, though, are the same as that of an epileptic one and hence the diagnosis is trickier. Non-epileptic seizures come up with normal EEG readings and the body does not respond to epileptic medication; vital clues for ruling out an epileptic seizure. The regular way of communication between brain cells is in an orderly manner and somehow at times, these signals become abnormal and gives way electric chaos which ends up causing seizures. This abnormal activity might happen to a specific part of the brain alone or can be generic. Epilepsy can be both genetic and acquired. Epilepsy can be brought on by one’s genes. Some cases of epilepsy (1%) are due to a single gene defect. This is the form of epilepsy that is mostly seen in young people. Epilepsy can occur from a tumour, a stroke or a trauma to the head. It can also manifest from previous infections to the central nervous system or brain damage suffered at the time of birth. This kind is mostly observed in adults. Epilepsy is treated with drugs, mainly. In situations where drugs fail, surgery is resolved to. The very type of treatment employed would be based on several factors including one’s age, frequency of episodes, medical history etc. If you’d like to know more about Epilepsy or have any query regarding it, you are most welcome to get in touch with us. Next PostNext Is Dyslexia A Mental Health Problem?